This site has been developed by N.C. Cooperative Extension to provide local food systems resources and timely information to our clientele across North Carolina. More background on the overall site, suggestions for how to make your way through the site, and a response to the question, ‘What are local food systems” can be found on the About page of this web portal. To assist you in finding your way around this portal, we have also developed a video walk through of the portal. 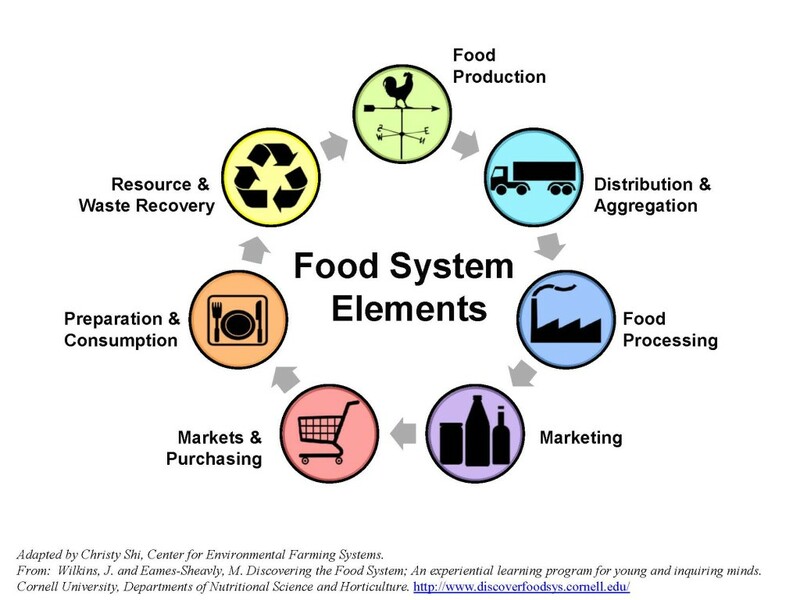 The organizational structure for this site is delineated below, fundamentally through a supply chain structure as well as other key topic areas typically discussed by those interested and engaged in local food systems. You may also use the search tool on this page to find topics of interest to you. The organizational framework for this N.C. Cooperative Extension Local Food site has been a collaborative effort, adapted from the structure defined by the National Leadership Team for the eXtension Community of Practice (CoP) for Community, Local, and Regional Food Systems. Follow this eXtension CoP on Facebook here.